SCE supervisor David Elias (right) works in the field with ComEd to restore power in Puerto Rico. SCE Supervisor Tony Fraijo gets a hug from a Puerto Rican customer whose power was restored on Easter Sunday. 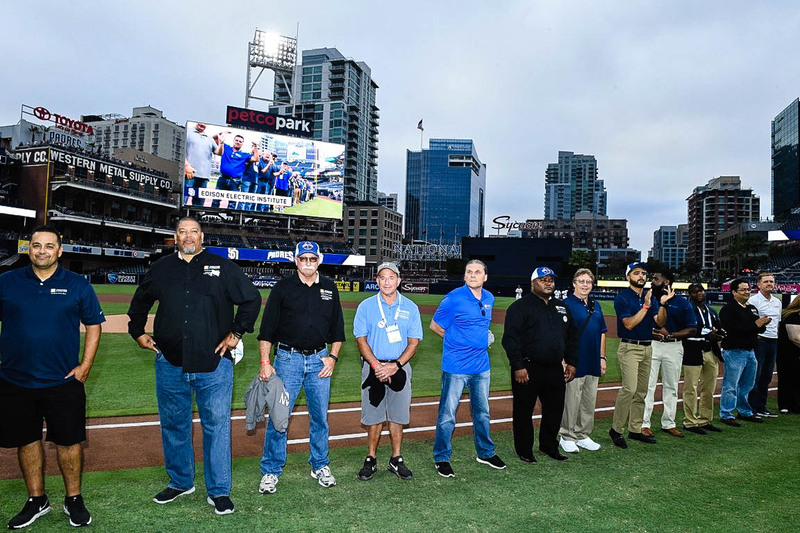 SCE workers were among utility employees honored by the San Diego Padres June 4 for their Puerto Rico power restoration efforts. SCE’s fourth Incident Management Team spent March and April helping restore power in Puerto Rico. With 99 percent of the island’s customers restored, the final work has been transferred to the Puerto Rico Electric Power Authority. When Southern California Edison asked David Elias to return to Puerto Rico for a second time this year to help restore power on the island, he had his doubts. There were family obligations. There was also the communications course he would have to drop at Copper Mountain College in Joshua Tree. 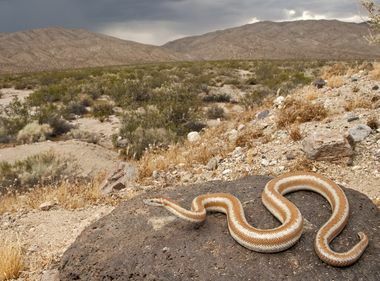 “I had all these reasons,” said Elias, an SCE supervisor in the Yucca/Twentynine Palms area, but his wife, Ali, changed his mind. “Obviously, if they are asking you to go, it’s because they think you can make an impact,” she told him. After Elias went back to Puerto Rico in early March, he realized how right she was. He called his work helping with feeder line restoration on the island the most fulfilling of his career because he could see how it was making a difference from the outpouring of local residents. Utility crews work on a remote dirt road in Puerto Rico restoring power. He recalled arriving one day with a crew at a remote community that had been without power for five months. A power pole blocked the road and had prevented access since the back-to-back hurricanes hit last September. Lines were still down on the house where they originally fell. Elias was on one of four rotating SCE incident management teams that joined nearly 60 investor-owned electric companies and public power utilities that helped with Puerto Rico’s power restoration. Each SCE team stayed 30 to 45 days, working 12-hour days, seven days a week helping plan and organize the restoration effort. 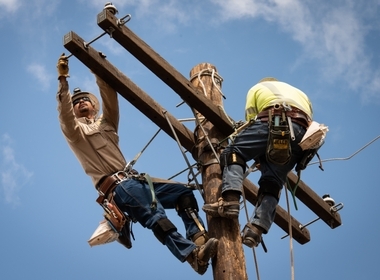 Their work ranged from damage assessments and mapping circuits to ordering materials, prioritizing restorations and overseeing the safe re-energizing of power lines and homes. Like Elias, Tony Fraijo, an SCE underground general foreman in Menifee who did three tours in Puerto Rico, felt a similar sense of commitment especially after helping restore power at a school in Cayey. 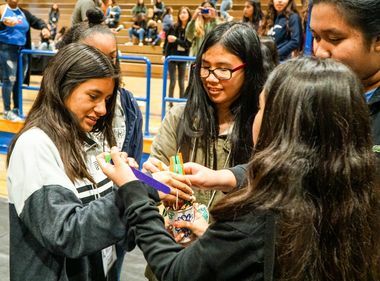 When the power crew turned on the electricity, they heard clapping and cheering by teachers who they didn’t realize had been quietly meeting in a darkened classroom. The last SCE team returned home in late April, however, at the request of Puerto Rican authorities, SCE sent two additional people for continued support through May. Julio Arencibia Jr., Jim Bullington, David Elias, Tony Fraijo, Norbert Hirsch, Brian D. Howard, Mark Ladinig, Henry Lomeli, Luis A. Lopez, Stephanie Pane, Jennifer Potter and Kelly Whittemore. Kathryn Hidalgo, an SCE principal manager, was the first to return, staying until May 10. The last SCE responder, Brian D. Howard, a senior SCE manager, took over and stayed until May 26. As of May 22, the Puerto Rico Electric Power Authority reported 99 percent of power had been restored to customers on the island. SCE’s employees were among utility employees honored by the San Diego Padres June 4 for their efforts in the Puerto Rico power restoration. Pedro Pizarro, president and CEO of Edison International, SCE’s parent company, praised the SCE employees for their hard work, long hours and sacrifice. 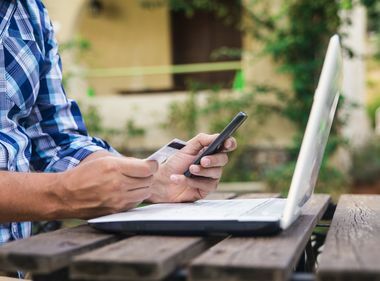 He noted that they completed their initial assignment in Ponce by mid-March. 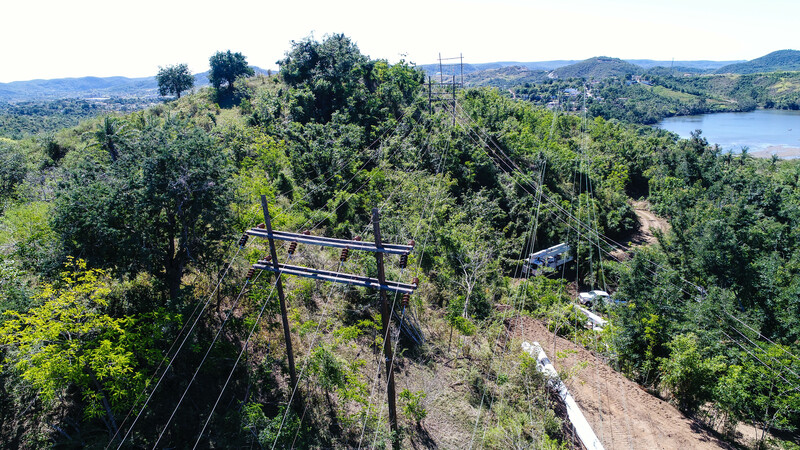 SCE’s team was then reassigned to Barranquitas, Caguas and Cayey to help with restoration in those more remote mountainous areas. He also took note of the extra efforts SCE’s team went to on behalf of the local residents. The team donated money for sporting goods to be given to a school in the Cayey district. The school named its library “Biblioteca Southern California Edison Company” in response. “It was a humanitarian effort, helping people and paying it forward,” Pizarro said.